The mist maker diffuses the water and makes a mist the looks like smoke. Perfectly safe to breath! Bubble, Bubble, Toil and Trouble! 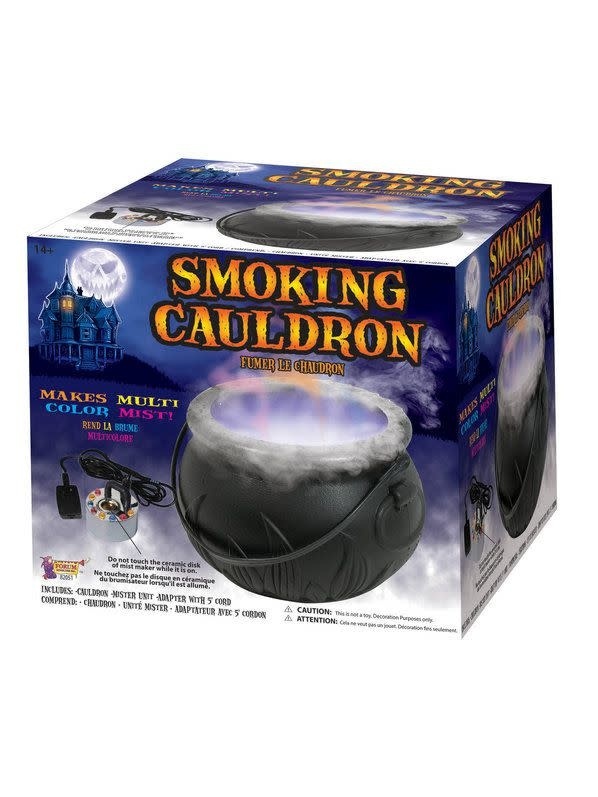 The Smoking Cauldron creates multi colored mist! Place the mist maker inside the cauldron. Fill it halfway with water. Plug in the mist maker. The mist maker diffuses the water and makes a mist the looks like smoke. Perfectly safe to breath! Mist maker has eight colorful LED's on it that illuminate the fog creating an amazing visual effect. Plastic cauldron measures approximately 5" H x 8" W. Comes with handle and lid. 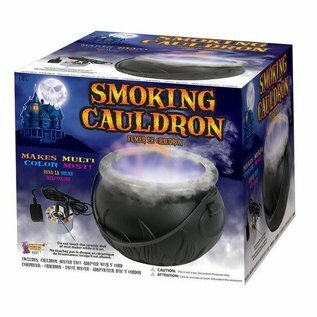 Includes: Cauldron, Mister Unit, Adapter With 5' Cord.